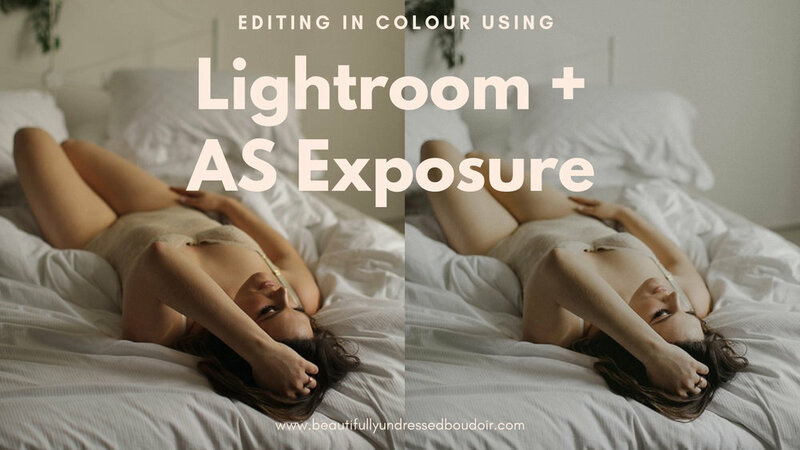 I am a photographer that shoots boudoir, and who also runs 1-2-1 mentoring and practical boudoir photography workshops for other boudoir photographers. And on the 25th March this year (2019), I will be releasing my first boudoir educational e-book course. I love helping other photographers and sharing my experiences and knowledge gives me great fulfilment. It’s not always possible for photographers to attend my studio due to distance, and 1-2-1 Skype mentoring isn’t for everyone. Plus, who doesn’t love a good work-book at hand anyway? The e-book covers the many aspects to creating beautiful boudoir photographs in great detail. It can be worked through at your own pace, and can be used as a guide whenever you feel the need. In it I share a fountain of knowledge that I have gained through years of practice. It’s jam-packed with formulas which work for me and how I create my images. I’m not saying it’s the only way to photograph boudoir, as there is no right or wrong way, but it’s the way that works best for me. I really will be sharing my greatest secrets! You will get an in-depth e-book with visuals including camera setting info, my processes, work-flow and formulas. A step-by-step workbook guiding and encouraging you into creating the images you desire filled with practical exercises and techniques to follow with tips. There’s also some great bonuses thrown in, which include; two Lightroom tutorials, how to prepare yourself emotionally before a session, my actual client preparation guide and brochure, and what’s in my camera bag. If you are interested in this e-book please feel free to sign up (at the bottom of this post) to be the first to hear when it’s available. The photographer’s resources mail will only be sent when latest information about the new Boudoir Photography E-Book, and other resources and offerings are available, so please don’t worry - I will not be spamming your inbox. I will use the information you provide to send you my newsletter which is aimed at photographers only, with new products, offerings and updates.